FIORENTE (IRE) (Brown 2008-Stud 2014). Champion Stayer in Australia in 2013-14. 6 wins from 1600m to 3200m, VRC Australian Cup, Gr.1, Melbourne Cup, Gr.1, Newmarket Princess of Wales's S., Gr.2, MRC Peter Young S., Gr.2, MVRC Dato' Tan Chin Nam S., Gr.2, 2d VRC Melbourne Cup, Gr.1, 3d MVRC WS Cox P., Gr.1, ATC BMW S., Gr.1, ATC All Aged S., Gr.1. Out of a half-sister to SW Hyblon. His oldest progeny are yearlings. RUE DE L'AMOUR, by Street Cry. Winner at 1600m in Aust. This is her second foal. Her first foal is a 2YO. Red Tycoon. 3 wins to 1400m to 2015-16 in Aust. Rue de l'Amour. Winner. See above. Westonrubi. Winner at 1700m in Aust. Man on the Hill. Winner at 1300m in Aust. Rubiman. Winner at 1400m in Aust. ISOLATED LOVE (Marooned). 6 wins-1 at 2-to 1200m, WATC Ascot S., L, Bukit Timah H., 2d WATC Hurricane H., Sturt H., 3d WATC Blackwood H., West Coast Eagles Belmont P.
Western Love. 3 wins. See above. Mudalove. 2 wins at 1100m, 1200m in Aust. Miracle of Love (Kaoru Star). 6 wins. See above. Rockathon. 6 wins to 1400m, QTC Novice H., Intermediate H., 2d BATC Graduation S.
Perfect Height. 6 wins at 1000m, 1200m in Aust. Panrealis. 3 wins at 1000m, 1200m in Aust. Bligh County. 6 wins to 1100m, 3d STC Guineas Restaurant H.
Potter's Image. 16 wins-2 at 2-to 1250m, 3d AJC Peter Walwyn H., Sadlier H.
Puffnstuff. 2 wins at 1200m, 1400m in Aust. Not Yet. 2 wins at 1000m, 1600m in Aust. Sirscay. Winner at 1000m in Aust. Rockola. Winner at 1000m in Aust. Flying Alytime. 5 wins to 1500m, WATC Sharks H., 2d WATC Fruit 'n' Veg H., 3d WATC 13 Squadron RAAF H.
Vain and Free. Winner at 2, WATC Thorium 2YO H., 2d WATC Special K H., Lifesavers 2YO H., 3d WATC Keith Gollan 2YO H.
Unleashed. 3 wins-1 at 2-at 1000m, 1150m in Aust. Light Note. 17 wins to 1450m, BATC Intermediate H.
Bold Refrain. 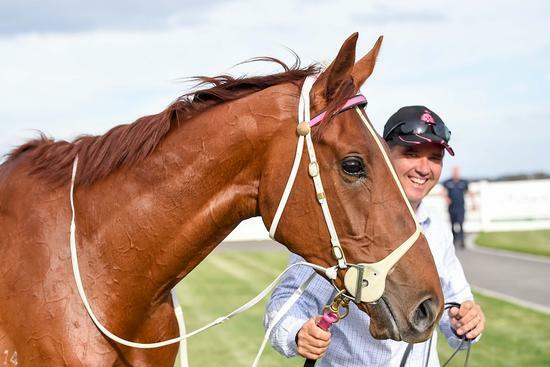 16 wins-1 at 2-to 1200m in Aust. Ideal Waters. 6 wins-1 at 2-to 1400m, QTC Nudgee Reunion H., TRC Midland Tractors P., Yearling Sale H., Vinidex H., Man O'Ross Hotel H., Lowndes Lambert H., 2d TRC St Helens Hospital H., Cascade H., Dreams Come True H., 3d BTC Carlton Special Beverages H., TRC Tradelink Plumbing Supplies H.
Bay Scenery. 5 wins to 1500m, 2d SAJC Better Loosen Up H.
Romanov. 7 wins-1 at 2-to 1300m, QTC Lucky Cloud 2YO H., 2d QTC Zillman 2YO H.
Allego. 3 wins to 1350m, BATC Light Fingers H., 3d BATC Agricola H. Producer. Turn Page. 7 wins from 1450m to 2200m, BATC Home Delivery H., QTC Welkin Prince H.
Coeurdorelle. 2 wins-1 at 2-at 1000m in Aust. Producer. Never Refrain. Winner at 1200m in Aust.